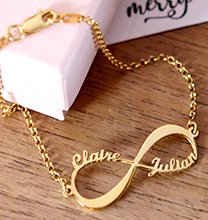 Engrave your childrens' names on our beautiful Gold Plated Mum Necklace with Engraved Kids Charms in Gold Plating. 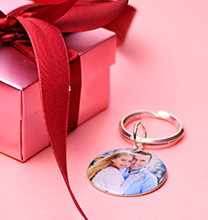 Choose the boy/girl charms you want for this necklace for mum. 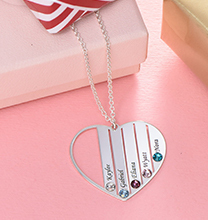 She is sure to love this childrens' charm necklace. The Gold Plated Mum Necklace with Engraved Kids Charms is made out of 18ct Gold Plating over 0.925 Sterling Silver and hangs on an 18ct Gold Plated Box Chain. This necklace is also available in Sterling Silver and in 18ct Rose Gold-Plated Sterling Silver. 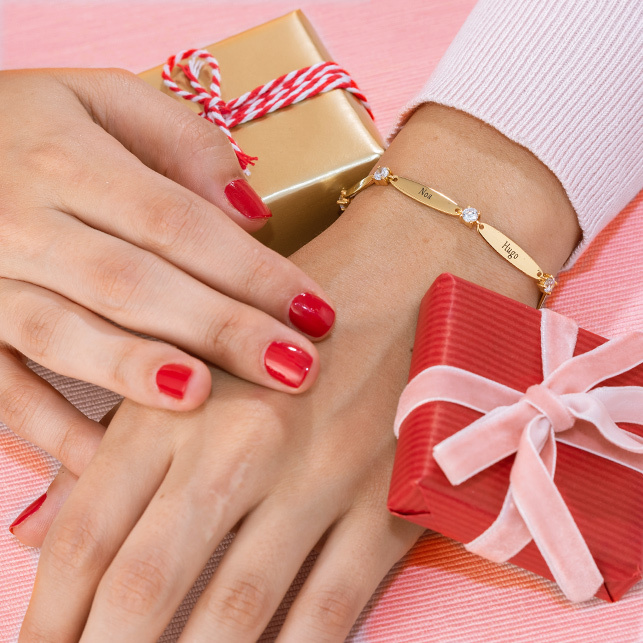 Complete the set with our Kids Bracelet. 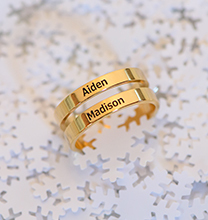 One name or word per charm. Up to 10 characters per charm. Elegant and Good quality ! I recomand it ! My wife is very happy with the present! 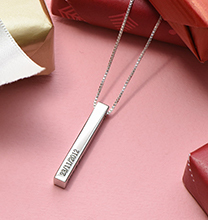 The necklace is great with my children's names. Fabulous service very quick delivery . Excellent Quality and excellent price to match,both together add first class delivery service you return to first word used . Amazing jewellery! I love my necklace and in few months I'll go buy a new one to my new baby!